1. The United States went "Bankrupt" in 1933 and was declared so by President Roosevelt by Executive Orders 6073, 6102, 6111, and 6260, (See: Senate Report 93-549, pages 187 & 594) under the "Trading With The Enemy Act" (Sixty-Fifth Congress, Sess. I, Chs. 105, 106, October 6, 1917), and as codified at 12 U.S.C.A. 95a. 2. The several States of the Union then pledged the faith and credit thereof to the aid of the National Government, and formed numerous committees, such as the "Council of State Governments", "Social Security Administration", etc., to purportedly deal with the contrived economic "Emergency" caused by the bankruptcy. These Organizations operated under the "Declaration of Interdependence" of January 22, 1937, and published some of their activities in " Book Of The States." 4. In January, 1810, Senator Philip Reed of Maryland proposed the "Title of Nobility" Amendment (History of Congress, Proceedings of the Senate, p. 529-530). 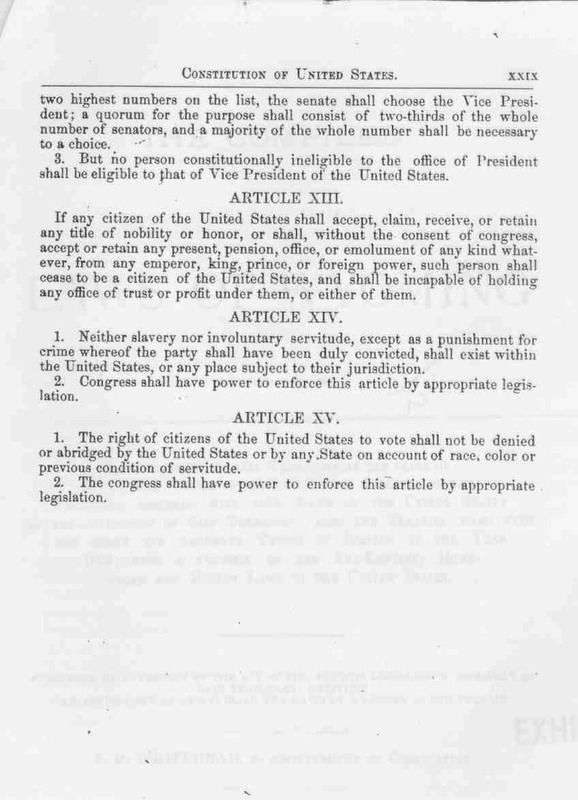 On April 27, 1810, the Senate voted to pass this 13th Amendment by a vote of 26 to 1; the House resolved in the affirmative 87 to 3; and the resolve was sent to the States for ratification: By Dec. 10, 1812, twelve of the required thirteen States had ratified as follows: Maryland, Dec. 25, 1810; Kentucky, Jan. 31, 1811; Ohio, Jan. 31, 1811; Delaware, Feb. 2, 1811; Pennsylvania, Feb. 6, 1811; New Jersey, Feb. 13, 1811; Vermont, Oct. 24, 1811; Tennessee, Nov. 21, 1811; Georgia, Dec. 13, 1811; North Carolina, Dec. 23, 1811; Massachusetts, Feb. 27, 1812;New Hampshire, Dec. 10, 1812. 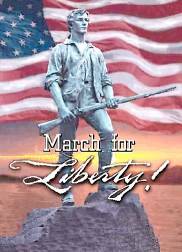 Before a thirteenth State could ratify, the War of 1812 broke out and interupted this very rapid move for ratification. On May 13, 1813, the State of Connecticut failed to ratify this original 13th Amendment, leaving it to Virginia to be the required 13th state to ratify. Virginia ratified with the March 12, 1819 publication of the Laws of Virginia. Connecticut then published it in four separate editions of "The Public Statute Laws of the State of Connecticut" as a part of the U.S. Constitution in 1821, 1824, 1835 and 1839. Then, without record or explanation, it mysteriously disappeared from subsequent editions prior to the Civil War between the states. 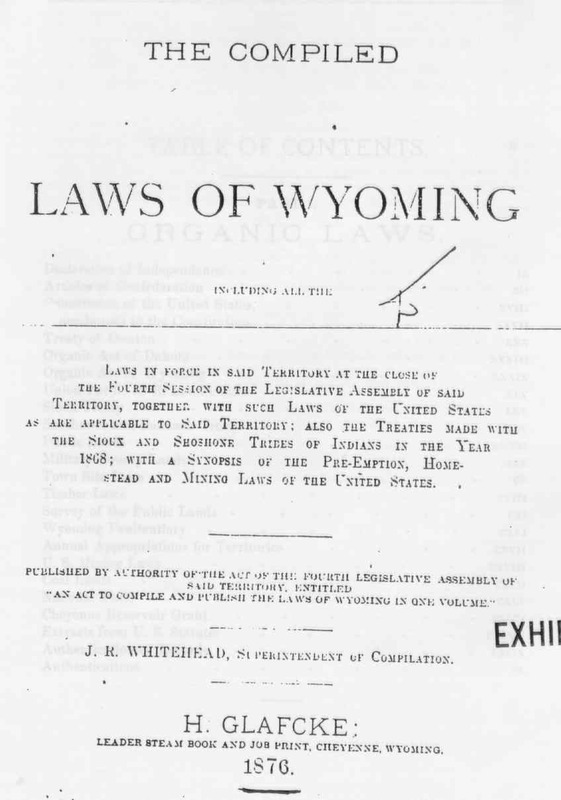 However, printing by a legislature is prima facie evidence of ratification, and it has been found to have been printed as part of the Constitution by many of the other states until after the Civil War and into the Reconstruction period - when it mysteriously disappeared from all subsequent printings, the last official publication found being the 1876 Laws of the Territory of Wyoming Frontis Page, Amendment 13. 5. The Reorganization of the bankruptcy is located in Title 5 of United States Codes Annotated. The "Explanation" at the beginning of 5 U.S.C.A. is most informative reading. The "Secretary of Treasury" was appointed as the "Receiver" in Bankruptcy. (See: Reorganization Plan No. 26, 5 U.S.C.A. 903, Public Law 94-564, Legislative History, pg. 5967) Since a bankrupt loses control over his business, this appointment to the "Office of Receiver" in bankruptcy had to have been made by the "creditors" who are "foreign powers or principals". 11. It is said that the economic Crash of '29 and the Great Depression was caused by the Federal Reserve withholding currency from circulation and raising interest rates after an inflationary easy money policy in the early 1920s. The Federal Reserve's fear of excessive speculation led it into a far too deflationary policy in the late 1920s: "destroying the village in order to save it." 12. According to American Jurisprudence, 2nd Edition, Sections 71 and 82, NO "emergency" justifies a violation of any Constitutional provision. Arguendo, "Supremacy Clause" and "Separation of Powers." It is clearly admitted in Senate Report No. 93-549 that abridgment has occurred. 13. On March 6, 1933 the federal government got the Conference of Governors to pledge the faith and credit of the several States of the Union and their citizenry to the aid of the National Government, (see pp. 18 - 24 of The Public Papers And Addresses of Franklin Roosevelt, Volume II, The Year Of Crisis, March 6, 1933) for what they openly admitted to doing. They encouraged the President to ask for and use extra-constitutional powers during the "emergency" that continues to this day. 14. This property, the faith and credit of the citizenry of the several States, was the collateral accepted by the creditors (foreign principals) so the federal government could borrow more Federal Reserve Notes (private bank credit) and keep operating under reorganization. Roosevelt issued Executive Orders 6073, 6102, 6111 and 6260 within days of his inauguration Mar 4, 1933. 6073 issued on March 10, 1933, called the "bank holiday" which closed the doors of the bankrupt government chartered banks (they were bankrupt as a whole). 6102 issued on April 5, 1933, prohibited "hoarding" gold and required people to turn it (their property) in to the Federal Reserve Banks (the creditors). 6111 issued on April 20, 1933, prohibited people from exporting gold (because now it wasn't theirs anymore). 6260 issued on August 20, 1933, combined 6102 and 6111. All this is totally unlawful unless someone other than the people owned the people's possessions. Yet, they are still being pledged as collateral, secured by UCC commercial liens, which are still being monetized as "debt money" by the Federal Reserve, to be surrendered if they needed to be under the orders of the bankruptcy, and thereby have deprived the people of clear title to their property under color of a contrived emergency." 15. These proclamations gave force to 470 provisions of Federal law. These hundreds of statutes delegate to the President extraordinary powers, ordinarily exercised by the Congress, which affect the lives of American citizens in a host of all-encompassing manners. This vast range of unconstitutional powers, taken together, confer enough authority to rule the country without reference to normal constitutional process. 16. Under the powers delegated by these statutes, the President may: seize property; organize and control the means of production; seize commodities; assign military forces abroad; institute martial law; seize and control all transportation and communication; regulate the operation of private enterprise; restrict travel; and in a plethora of particular ways, control the lives of all American citizens. The several States were seduced into the new policy in 1939, with Roosevelt's promise of federal grants-in-aid. Federal Revenue Sharing (31 U.S.C. ( 6700 et seq.) is the modern version of the grants-in-aid program. In return for these grants, the states would agree to uphold and maintain the pledge of life, labor and property of their respective citizenry as surety for the debt obligations of the Federal government. The politicians of these respective states gladly complied, because they viewed this as an opportunity to increase their own political power, letting the next generation of office holders worry over the long term consequences of their acts. 19. Such principles as "Fraud and Justice never dwell together" (Wingate's Maxims 680), and "A right of action cannot arise out of fraud." (Broom's maxims 297, 729; Cowper's Reports 343; 5 Scott's New Reports 558; 10 Mass. 276; 38 Fed. 800) These basic principles may be too high a thought concept for our judges, legislators, and public servants, as are "Due Process", "Just Compensation" and "Justice" itself. Honor is earned by honesty and integrity, not by or under false and fraudulent pretenses. The color of the cloth one wears will not cover-up the usurpations, lies, trickery and deceptions. 20. In 1938, the whole country was bankrupted! The creditors (foreign powers) seized ownership of the flag, State governments, their laws and constitutions, including every last comma and period, and the whole country and its citizens! It placed us in peonage. The 1937 Edition of the Book of the States openly declared that the people engaged in such activities as the Farming/Agro Related Industry had already been reduced to mere feudal "Tenants" on their Land, see the Book Of The States, Book II, Volume II, 1937, p 155. It is the most humungous fraud ever perpetrated in human history. But "government officials", both State and federal, went along with it, and continue to keep it all secret from the American people. 21. In 1940, Congress passed the "Buck Act", (4 U.S.C.S. Sections 105-113). In Section 110(e), the Act authorized any department of the federal government to create a "Federal area" for imposition of the "Public Salary Tax Act" of 1939. This tax is imposed at 4 U.S.C.S. Sec. 111. The Social Security Board had already created a "Federal area" overlay. 22. Thus the obvious question arises: What is a "Federal area"? A "Federal area" is any area designated by any agency, department, or establishment of the federal government. This includes the Social Security areas designated by the Social Security Administration, any public housing area that has federal funding, a road that has federal funding, and almost everything that the federal government touches through any type of aid. (See Springfield v. Kenny, 104 N.E. 2d 65 (1951 App.)) This "Federal area" purportedly attaches to anyone who has a Social Security Number. Through this mechanism, the federal government usurped the Sovereignty of the People, as well as the Sovereignty of the several states, by creating "Federal areas" within the boundaries of the states under the purported authority of Article 4, Section 3, Clause 2 (4:3:2) in the federal constitution. Therefore, all U.S. citizens [i.e. citizens of the District of Columbia] residing in one of the states of the Union, are classified as "property", as franchisees of the federal government, and as an "individual entity". (See Wheeling Steel Corp. v. Fox, 298 U.S. 193, 80 L.Ed. 1143, 56 S.Ct. 773. 23. Under the "Buck Act" the federal government has created "Federal areas" within the boundaries of all the several States. These areas are similar to any territory that the federal government acquires through purchase, conquest or treaty, thereby imposing federal territorial law upon all people in these "federal areas". Federal territorial law is evidenced by the Executive Branch's yellow fringed U.S. flag displayed in schools, public buildings and most courtrooms. A flag with a fringe is an ensign, a military flag, and under the Law of the Flag implies an Admiralty Merchant Equity Law, Military Law, or Martial Law Jurisdiction, thereby suspending Constitutional Law. It is NOT a Title 4 U.S.C. 1 United States Flag. Within a courtroom, the bar is emblematic of the rail of a ship, the court judge(s) the captain(s) of said ship, interpreting the laws according to the jurisdiction decreed by the displayed flag. BE AWARE! A military flag is a flag that resembles the regular flag of the United States pursuant to U.S.C. Chapter 1, 2, and 3; Executive Order No. 10834, August 21, 1959, 24 F.R. 6865, except that it has a YELLOW FRINGE, bordered on three sides. The President of the United States designates this deviation from the regular flag, by executive order, and in his capacity as COMMANDER-IN-CHIEF of the Armed forces. 24. In 1966, Congress being severely compromised, passed the "Federal Tax Lien Act of 1966, by which the entire taxing and monetary system i.e. "Essential Engine" (See: Federalist Papers No. 31) was placed under the Uniform Commercial Code. (See: Public Law 89-719, Legislative History, pg. 3722, also see, C.R.S. 5-1- 106). 25. The Uniform Commercial Code was, of course, promulgated by the National Conference of Commissioners On Uniform State Laws in collusion with the American Law Institute for the "banking and business interests." (See: Handbook Of The National Conference of Commissioners On Uniform State Laws, (1966) Ed. pgs. 152 & 153). 28. The statements heard in the Federal and State Tribunals, on numerous occasions, that Constitutional arguments are "immaterial", "frivolous" etc., is based upon concealment, furtherance and compounding of the frauds and "Emergency" created and sustained by the "Expatriated", ALIENS of the United Nations and its Organizations, Corporations and Associations. (See: Letter, Insight Magazine, February 18, 1991, pg. 7, Lowell L. Flanders, President, U.N. Staff Union, New York) 8 U.S.C.A. 1481 is one of the controlling statutes on expatriation as is 22 U.S.C.A. 611 - 613 and 50 U.S.C.A. 781. 29. This of course complies with "Silent Weapons For Quiet Wars", Research Technical Manual TM-SW7905.1, which discloses a declaration of war upon the American people. (See: pg. 3 & 7). The Internal Revenue Service entered into a "service agreement" with the U.S. Treasury Department (See: Public Law 94-564, Legislative History, pg. 5987, Reorganization Plan No. 26) and the Agency for International Development, pursuant to Treasury Delegation Order No. 91. The Agency For International Development is an International paramilitary operation (See: Department Of The Army Field Manual, (1969) FM 41-10, pgs. 1-4, Sec. 1-7(b) & 1-6, Section 1- -10(7)(c)(1), 22 U.S.C.A. 284), and includes such activities as "Assumption of full or partial executive, legislative, and judicial authority over a country or area." (See: FM 41-10, pg. 1-7, Section 110(7)(c)(4)) also see, Agreement Between The United Nations And The United States Of America Regarding The Headquarters Of The United Nations, Section 7(d) & (8), 22 U.S.C.A. 287 (1979 Ed.) at pg. 241). It is to be further observed that the "Agreement" regarding the Headquarters District of the United Nations was NOT agreed to (See: Congressional Record - Senate, December 13, 1967, Mr. Thurmond), and is illegally in the Country in the first instant. This was augmented by Public Law 101-167, 103 Stat. 1195, which discloses massive appropriations of rehypothecated debt credit for the general welfare and common defense of other Foreign Powers, including "Communist" countries or satellites, International control of natural and human resources, etc. etc.. A "Resource" is a claim of "property" and when related to people constitutes "slavery." 33. ,The covert procedure used to implement and enforce these Foreign Constitutions, Laws, Procedures, Rules, Regulations, etc., has not yet been fully collected and assimilated nor presented as evidence to establish seditious collusion and conspiracy. Our patience and tolerance for those who pervert the very necessary and basic foundations of society has been pushed to insufferable levels. They have "fundamentally" changed the form and substance of the de jure Republican form of Government guaranteed to each State under Article 4, Sec. 4 of the U.S. Constitution, exhibited a willful and wanton disregard for the Rights, Safety and Property of others, evinced a despotic design to reduce the people to slavery, peonage and involuntary servitude, under a fraudulent, tyrannical, seditious foreign oligarchy, with intent and purpose to institute, erect and form a "Dictatorship" over all Citizens and their Posterity. 34. Pactions, Confederations, and Alliances, and under pretense of "emergency", which they themselves created, promoted and furthered, formed a multitude of offices and retained those of alien allegiance to perpetuate their frauds and to eat out the substance of the good and productive people of this Land. They have trespassed on our Lives, Liberties, Properties and Families and endangered our Peace, Safety, Welfare and Dignity. 35. In the field of law we got removal of federal common law with the Erie Railroad Co. v Tompkins case, 304 US 64; and the hodgepodging of the jurisdictions of Law and Equity together, which is known as "One Form Of Action"; as two of the main insanities dictated by the new owners. Law and Equity does not mix any better than oil and water. 37. In Federalist Paper No. 83 Hamilton expressed, "My convictions are equally strong that great advantages result from the separation of the equity and the law jurisdiction ..." The Constitution establishes the three jurisdictions as separate in Article III. 38. There is no Constitutional authority for operating in bankruptcy under Martial Law/Rule. The legislative, executive, and judicial branches no longer exist, as the de jure government has fraudulently been dissolved and the entire country has been received in bankruptcy by the Fund (IMF) and World Bank through a series of "emergency war powers" acts. 39. The intent and objective of the bankruptcy was not to resolve any "emergency"; it was to create one for the express purpose of changing the governmental, social, economic and industrial character of the de jure society, to infringe and abrogate inalienable Rights, steal and alienate the birth Rights of the People, impair the obligations of honest contracts, to defraud and obtain a benefit therefrom, create turbulence and contention, overthrow, and to establish a corrupt totalitarian oligarchy and combination, in direct contravention to the Law of the Land, and against the Peace, Dignity and Security of We The People (the real State). 40. Because the States also are now bankrupt entities means that now not even the (de facto) State courts have any sovereignty; no enforceable jurisdiction, and can only invite participants into court! State courts are now only courts of mediation. Fines collected by these courts go to the Federal Reserve Banks, the depository agents for the Fund and the Bank. Thus, administrative agents in this State are also acting as trustees and agents for foreign principals, and are required to register as such. 41. IF "public officials" represent the people under the Constitution, they can only collect, use, and be paid in Constitutional money, gold and silver. And they can only operate at common law in all criminal matters except for Maritime contracts. 42. Federal Reserve Banks are private banks; check the government and private pages of the telephone book to see where they are listed. IF "public officials" use Federal Reserve "Notes," or funds reducible only to Federal Reserve "Notes" in public business, they are using non-redeemable, dishonored, impaired, depreciated, rehypothecated, interagency, international bills of debt/credit, and have to be operating only a de facto government, which is treason to their oaths of office and violations of their agency obligations to the sovereign people, and in this case, for foreign principals. See: Who Is Running America? for a listing of the major shareholders of the Federal Reserve Banks, and the Staff Report of the Committee on Banking, Currency and Housing, House of Representatives, 94th Congress, 2nd Session, August 1976, titled "Federal Reserve Directors: A Study of Corporate and Banking Influence" which delineates the interlocking directorships of the shareholders. 43. It is a clearly established principle of law that a corporation being incorporeal and a creature of the law must be represented by an attorney. An attorney representing an artificial entity, such as the (de facto) "State of (pick one of the states)" must appear with the corporate charter and law in his hand. A person acting as an attorney for a foreign principal must be registered pursuant to the Foreign Agents Registration Act (22 USC Section 612 et seq.). See Victor Rabinowitz et. al. v Robert F. Kennedy 376 US 605. 44. Failure to file said "Foreign Agents Registrations Statement" goes directly to the jurisdiction, and lack of standing to be before the court, and is a felony pursuant to 18 USC þþ 219, & 951. The conflict of law, interest and allegiance is obvious. "NO MAN CAN SERVE TWO MASTERS." See Bible, Luke 16:13, Jeffery v Pounds, 67 Cal.App.3d 6, Cinema 5 v Cinerama 528 F 2d 1384, Easly v Brookline Trust 256 SW 2d 983. 45. In US v Woodly 726 F 2d 1328 and 751 F 2d 1008, it is ruled that a judge who can be influenced by another Department or others, is not an Article III de jure judge. And in US v Ferreira 13 How 42 it is ruled that a judge who can be influenced by another (not independent), is only a commissioner under a treaty. There is no authority under the Constitution for Statutory Administrative courts. "In all Cases ... in which a State shall be a Party ... the supreme Court shall have original Jurisdiction ..." Article 3, Section 2, U.S. Constitution. 46. Judges who pretend judicial power without really having it, and when they act for foreign principals, violate 18 USC þþ 219 and 951. 47. This Affiant did not give permission to ANYONE to pledge his life, liberty, body, property, and labor for someone else's benefit, i.e., the federal government's debt. By federal government is meant that totally bankrupt, functionally dead at law, foreign municipal corporation domiciled in Washington, D.C. called the "United States"
"... the United States is to be regarded as a body politic and corporate. ... It is suggested that the United States is to be regarded as a domestic corporation, so far as the State of New York is concerned. We think this contention has no support in reason or authority. ... The United States is a foreign corporation in relation to a State." in re Merriam's Estate, 36 NE 505, 506 22. 48. The de facto "State" engages in activities forbidden to the de jure State by collusion with the Internationals pursuant to 26 IRC 6103(k)(5) under the pretense of the "Intergovernmental Personnel Act", acting as the "FedState Team." The FedState Team is under the direction and control of the Assistant Commissioner (INTERNATIONAL). See Internal Revenue Manual Section 1132.61 Pages 1100-40.1 through 1100-40.2 (1992 Edition) and FedState Bulletins -Commissioner's Advisory Group Meeting September 24 & 25 Minutes. 49. The State government is supposed to protect it's citizens from excesses by federal government personnel, and likewise the federal government is supposed to protect us from excesses by State government personnel. But the internationalist's aim IS excesses and subjugation, so this "FedState Team" establishes cooperation between all government personnel working not for the people, but for foreign principals. 50. A municipal court is no more than a collection agent for the creditors of what used to be OUR governments. The institutions now functioning as the government are merely the alter ego of the Fund and the Bank. These foreign entities are operating illegally in this country by pretending to be the government for the people, and is what the U.S. Supreme Court tacitly describes as "cooperative federalism". 51. "Public officials" who under false and fraudulent pretenses and colors of authority engage in soliciting and collecting information, contributions, loans, money, or other things of value for or in the interest of their foreign principals, and being directly or indirectly subsidized, directed, controlled, or financed by said foreign powers, and while deceitfully and secretly agreeing to conceal their true character and true principal were and are engaged in promoting and furthering the principles and doctrines of One World Government, and the dissolution of the several States united. Such promotion constitutes the revival of the ancient pagan and evil Roman Civil Law under which Jesus was crucified, and under which Christians were thrown to the lions. 52. All "public officials" in this "State", acting as trustees for foreign principals, at all times heretofore and herein were agents for foreign principals as defined in 22 USC 611, namely The Fund (IMF), and The Bank. As such they are required to file a foreign agents registration statement form and supplements thereto, pursuant to 22 USC 612, and are not exempt pursuant to 22 USC 613, see Rabinowitz v Robert Kennedy 376 US 605. 53. Acting under false and fraudulent pretenses as officers and officials of the de jure government of the United States of America is a violation of the Penal Code if the "official" intends to induce another to submit to his pretended official authority. This would also be a violation of the victim's civil rights under Title 42 USC 1983. 54. By continuing to administer this perfidy, "public officials" are committing treason against not only the Constitution, but against truth, rightness, and the real Sovereigns of the nation -- We the People. "Today under pretence of emergency and reorganization the mischief has been recreated and reinstituted within the Nation and several States of the Union, and has once again left the people without any plain, speedy or adequate remedy, and is wholly contrary to the true original extent and end of the Union and civil Government as ordained and established by the people; ..."
"Resolved: That the California Republican Assembly will support only men and women who are willing to become aware of the usurpation of the power of the United States Constitution and who are committed to restoring our Constitution to its rightful place as the Supreme Law of the Land." There are numerous other examples that could be cited here. But, it is enough to say that this Affiant is far from being alone in his concern for the State of affairs that has developed under the fraudulent and contrived national "emergency" and the Martial Law/Rule that has been secretly imposed upon them without their knowledge or informed consent. "We have people in government who should not be allowed to play with matches."